Heat olive oil in Dutch oven over medium-high heat. Cook onion, garlic, carrots, bell pepper, leek and zucchini about 5 to 10 minutes, stirring occasionally, until carrots are tender. Stir in broth, chicken, dill weed and salt. Heat to boiling. Meanwhile, in medium bowl, mix Bisquick and cooked quinoa. Stir in milk and fresh dill weed just until moistened. Divide dough into 18 equal parts, drop dough onto boiling soup. Cook uncovered over medium-low heat 10 minutes, at just a low boil. Cover; cook 15 to 20 minutes longer or until dumplings are dry. 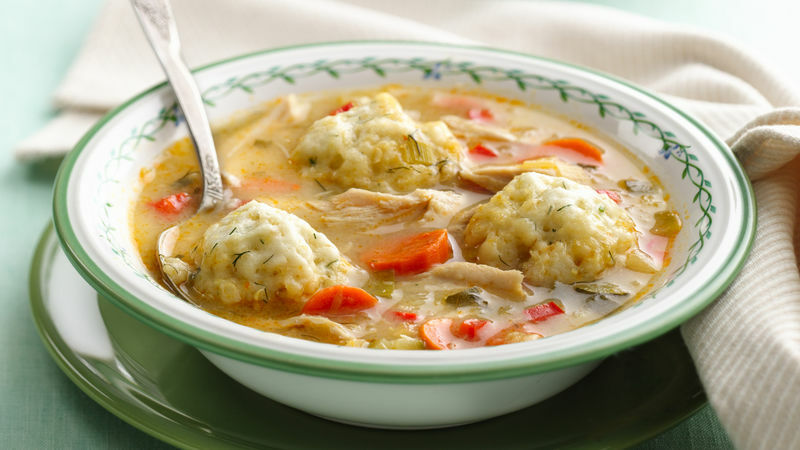 Serve soup hot with dumplings.